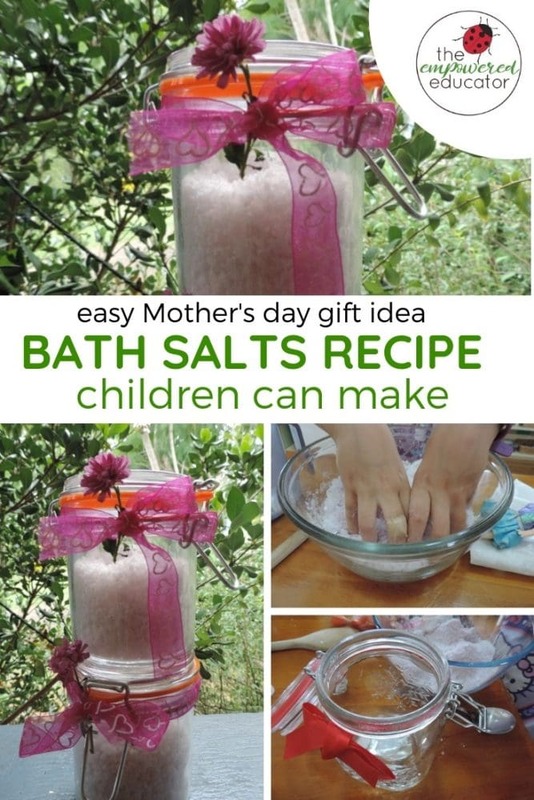 I love DIY Bath Salts because they are one of the easiest gifts that children of all ages can have fun making for a special someone – perfect for Mother’s Day! 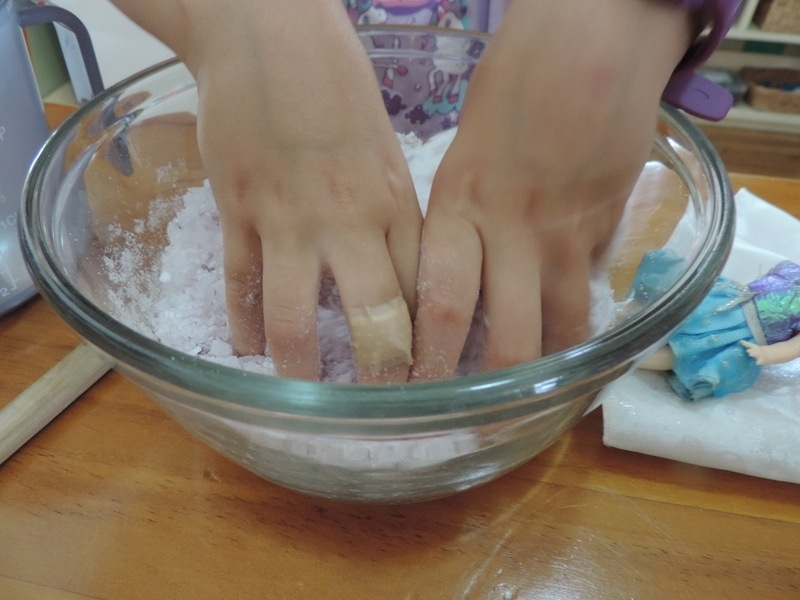 When children are creating their bath salts they are also engaging in some wonderful sensory and fine motor play. 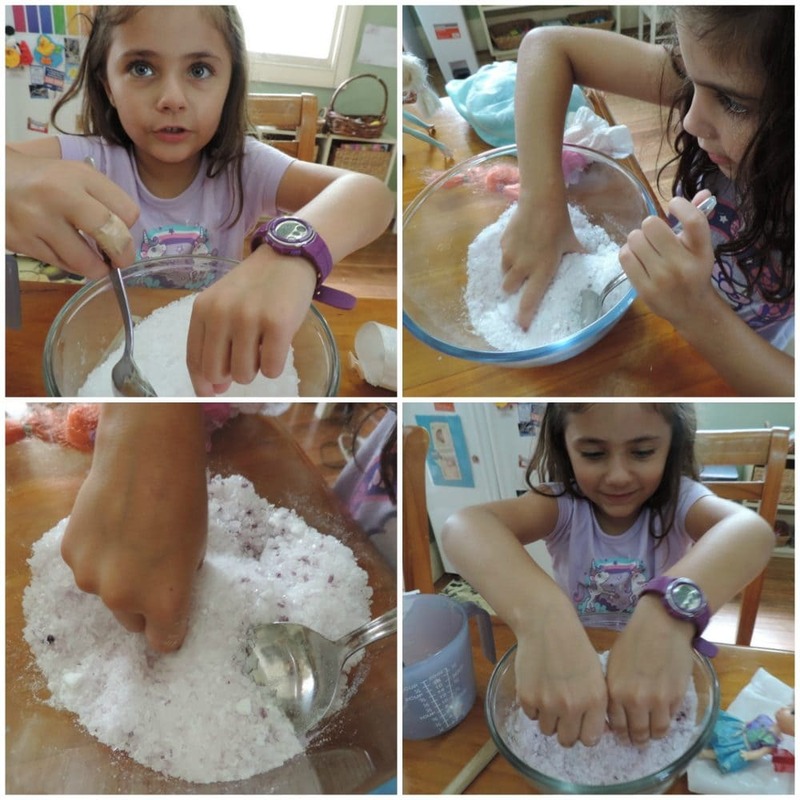 We recently made some bath salts to share as gifts and although we have now done this activity many times it is just as much fun each time and simple enough to do whether you are creating with just a few children or a large group! 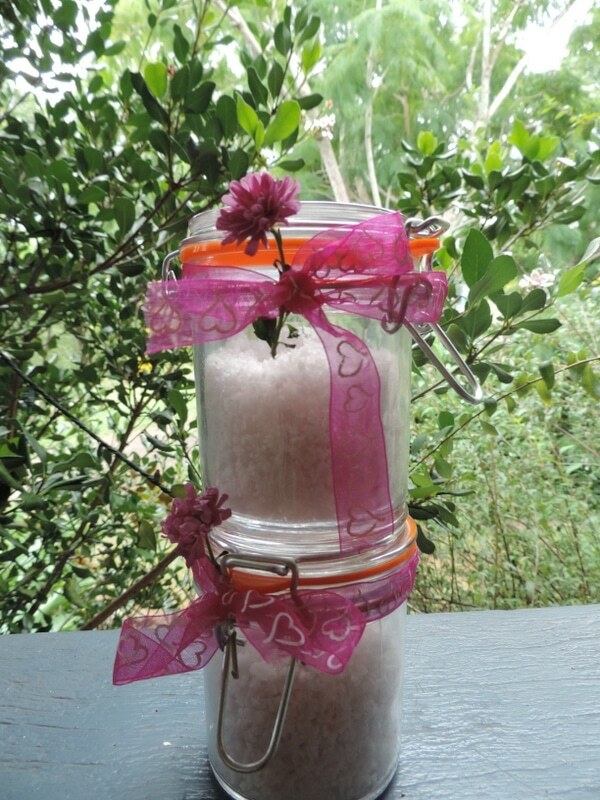 Want to try making your own bath salts? 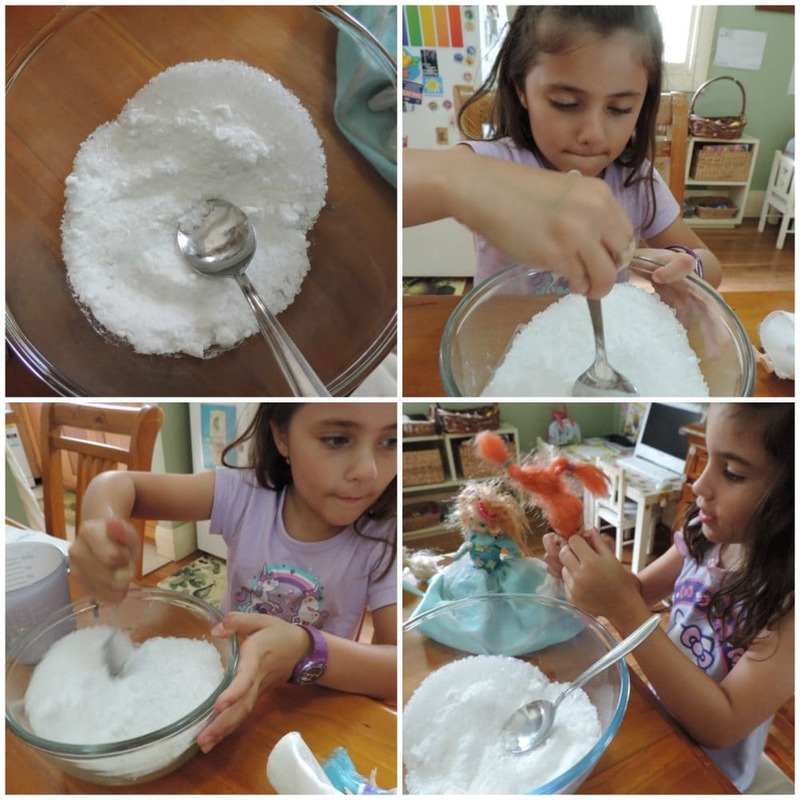 Follow my simple recipe and steps below – I’ve also included a few modifications for younger children. You can also download a free activity guide at the end of this article so you can keep the recipe and learning outcomes handy. This mix makes enough for 2-3 small jars or 1 medium jar. I usually double this recipe to make enough for 5 children using smaller jars. The ingredients are very budget friendly so it provides the opportunity to make more if you need to without breaking the resource budget! Now comes the fun part – make sure to involve the children at every step of the process. I like to have a few measuring jugs, spoons and bowls so that everyone can have a turn at measuring out ingredients – if you only have a small group of children why not allow them to have individual bowls to work with? For larger groups of children I suggest using a wide shallow tub or tray so that everyone can see what’s happening and take turns measuring, pouring and mixing from all sides. You don’t need to leave toddlers out of the fun – they will enjoy pouring and mixing using some plastic cups and their hands! Use large tubs on the floor or a low table so they can access easily. 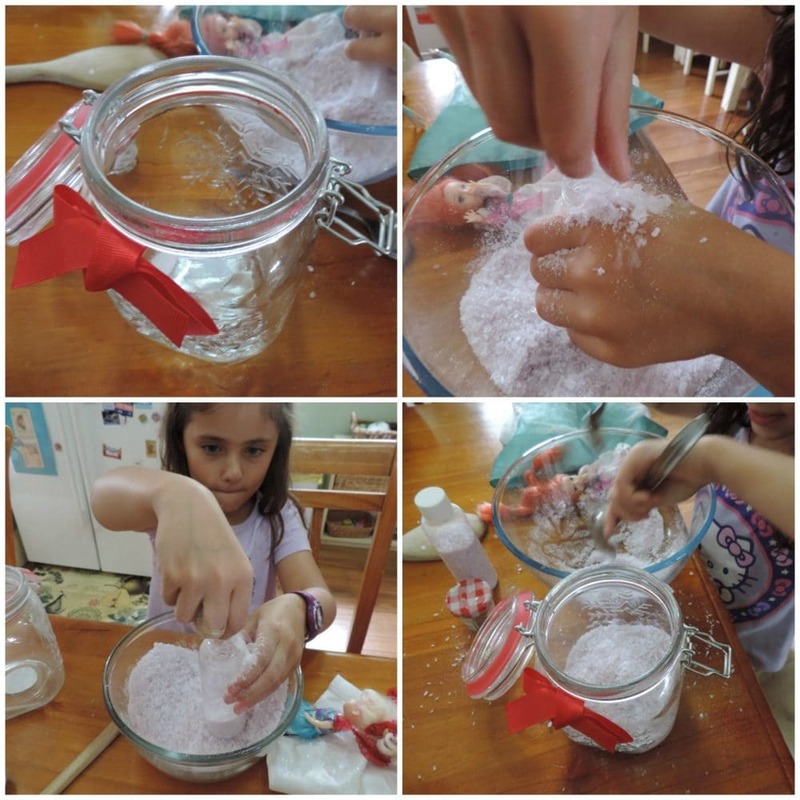 Obviously you will need to supervise closely to stop it ending up in little mouths but I have included toddlers in this activity many times and they are always fascinated by the texture of the salts and the opportunity to fill and empty using containers. Measure out and add the dry ingredients to the bowl/bowls and then mix together well. Now it’s onto the next step…. Add a few drops of food colouring now if you wish to colour your bath salts (don’t go overboard or you will end up with gluggy bath salts and a bath full of colour).We added a few drops of natural purple colouring as I only wanted a subtle touch of colour -you can off course just leave them white too! Now add your essential fragrance oils and get those hands in there squishing, mixing and experimenting. What can you smell? What colour is appearing as you mix and squish? What does it feel like? Now comes the tricky part for little hands – filling the jars. To challenge older children you can use smaller jars and we also used a few narrow bottles as well – filling with teaspoons and fingers. Messy but fun! Toddlers will love helping you to scoop into a wide mouthed jar using their hands or a cup. Hand/eye coordination and fine motor skills really get a workout during this step! 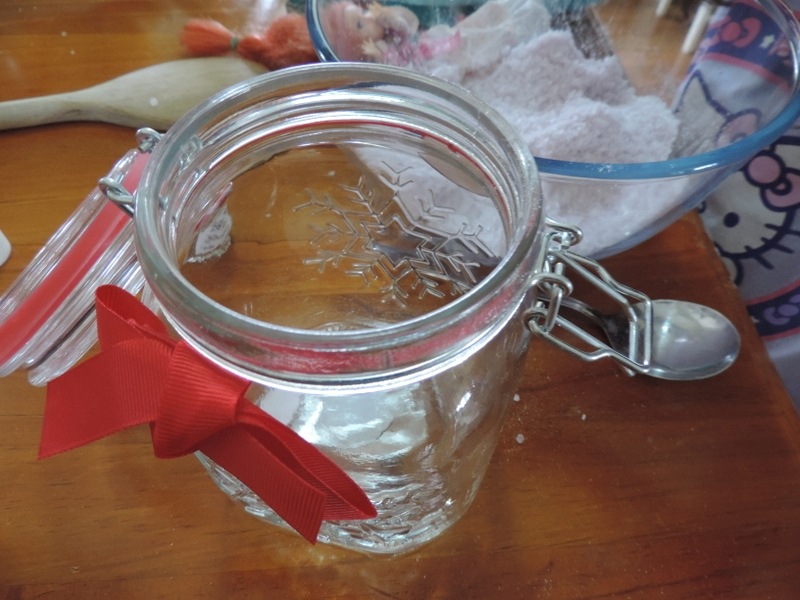 You can decorate your jars in a way that suits the age of the children doing this activity. This time around I was working with 6 year olds so we picked some flowers and they chose some ribbons to tie around the top. However, when I do this activity with younger children we usually paint the glass jars first in their own style to create a truly unique child made gift. We often add a little tag with a drawing by each child and I add the directions of ‘sprinkle 2 spoons or a handful into a warm bath then relax!’ onto the tag before tying around the neck of the jars. 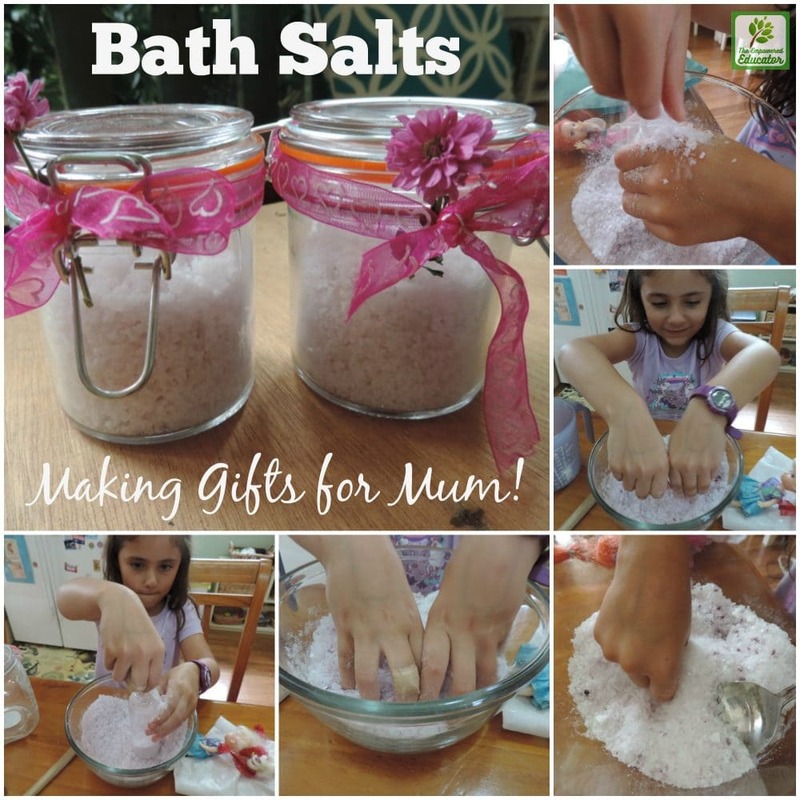 Mums and special carers often don’t take time out to pamper themselves very often but the lovely smell of these bath salts made by the special little person in their life will guarantee Mum a beautiful long soak in the tub….of course she might need to lock the door to ensure that happens though! 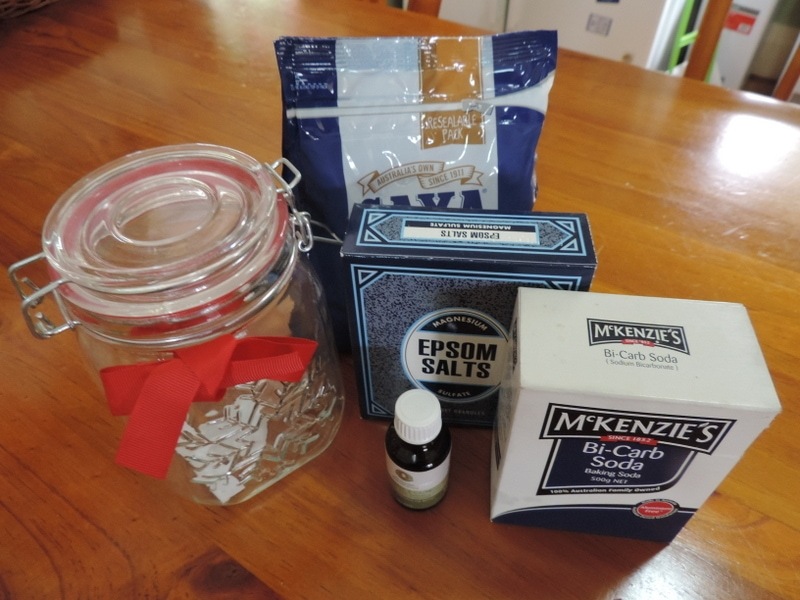 I hope you have fun making these DIY bath salts with the children – it really is a simple and budget friendly gift idea for Mum or Grandma that the children can be hands on and fully participate in, easy to set up and clean away too! 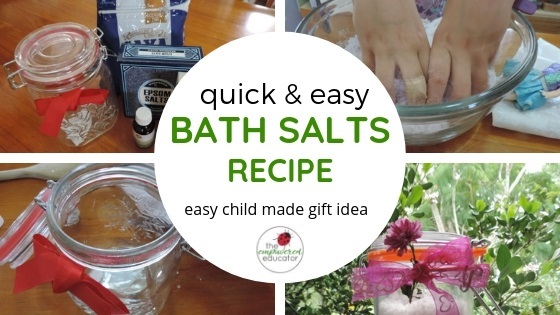 If you would like to download a free PDF activity sheet which includes the DIY Bath salt recipe, instructions and a guide to the learning outcomes from this activity please tap or click the image below.